Yesterday was one of those days when a small unplanned side project turns into a overly time consuming project. I recently purchased an incomplete 9TE from the sixties and during initial testing I found the focuser was way too stiff making it almost impossible to use. The telescope is from about 1965 and showed little use and because of that the grease had turned to a very stiff goo. I took it apart, cleaned everything, and regreased it using multi-purpose grease but afterwards the drawtube seemed looser with more annoying up and down play (droop). It had some play before the re-grease but it wasn't quite as noticeable. I was surprised to find these two shims under the axle of the pinion. I've taken a couple of these focusers apart and don't remember ever seeing them. They appear to have been made from a scrap of a ID badge. It looks like it says Quality on one of them. Since one was almost cracked in half, I made two new ones from an aluminum soda can which looks to be about the same thickness. This is before being re-greased for the second time. After this photo I bent (flared), the edges of the shims a bit outward to mimic how the originals first appeared. I did this since it might help them stay in place. To help with the drawtube's looseness/roop, I found there was just enough room for a strip of blue tape. The chromed draw tube must be a hair thinner from polishing on its outer end as I could feel the difference when inserting it in the housing. To take up a bit more slack at the outer end I put another small strip of blue tape under that end of tape. This time I re-greased it with heavy-duty grease and it feels much better. There's a still a tiny bit of droop/play in the tube and there might be enough room for two complete strips of tape, but it's fine for now. Stickier grease would likely help the feel too. I'm sure these focusers vary in fit and smoothness. Another I have feels much smoother, but it still has the original grease and I'm going to leave it. I'm probably expecting too much from it since these were pretty much low end products. That said, what's been your experience with these focusers? 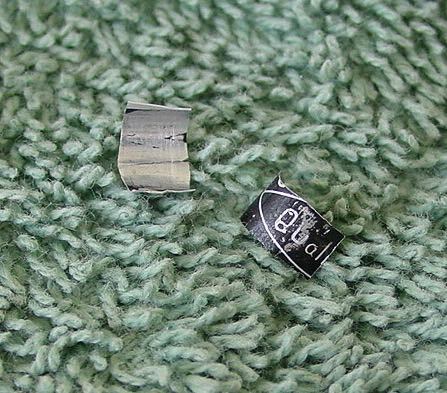 Have any of you ever found shims like those above? p.s. 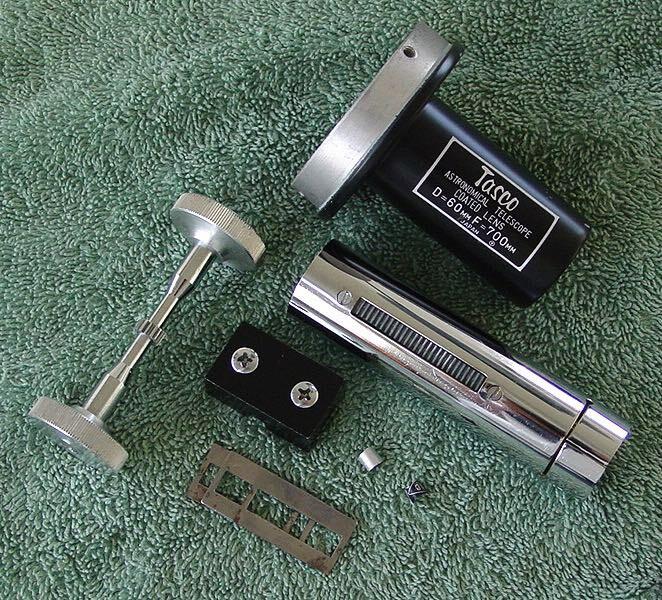 I read that Chuck H. had found that some of the older and better focusers had lead shims. Edited by Kasmos, 15 April 2019 - 03:58 PM. Yes sometimes you find them, sometimes you don't. Nice job finessing the fit of the tube to the focuser! 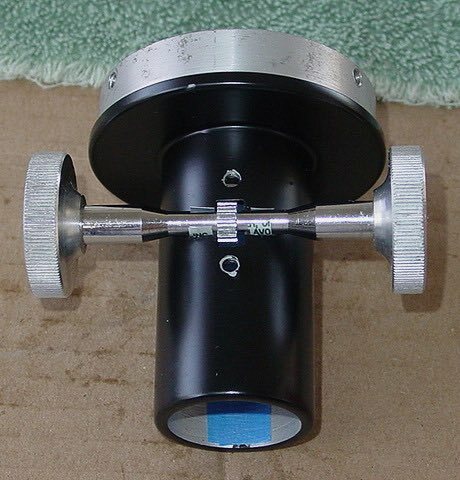 I have a Tasco 6TE-5 (50mm x 600mm, circle T) with the same focuser design that I use for outreach. Unfortunately, my rack is made of a soft pot-metal that slowly bends away from the pinion. Mine didn't have shims. I like your use of soda can aluminum. Have to try that. To be honest it could still use some of that original gooey grease to make it feel even better. This one has that pot metal rack and I noticed it's not installed perfectly straight. That might be why it feels a little weird (gritty), at each end of its travel, but it's probably because they bend away from the pinion in the middle and are tighter at the ends. I have what's left of one that broke, so I'm a bit paranoid about these types with their unsupported racks. 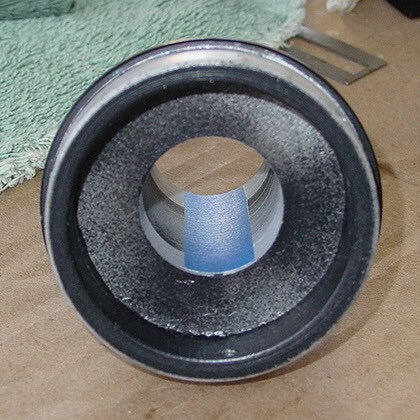 I read that Chuck H. had found that some of the older and better focusers had lead shims. 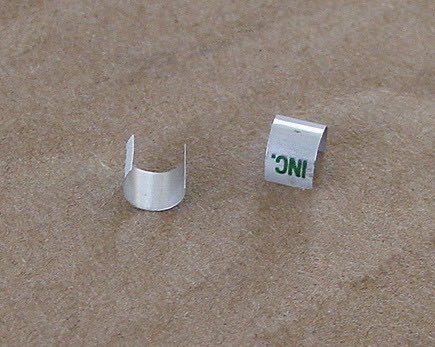 Lead is actually an excellent bearing material for low-speed applications, used before Babbitt metals were developed or where the structure of Babbitt isn't needed. I've since found a lead liner in a Japanese EQ mount, in addition to the focusers. I've still got quite a bit of the thin sheet lead available, PM me if you need some. It really smooths and tightens some focusers I've used it on. Chuck, I can understand how the softness of lead would make it a great material for that. In the case of this Tasco, since it's seems that they all didn't have shims, I'm thinking they were sometimes used when the assembler thought the machining for the pinion recesses were too deep.